This video clip plays backwards. It gives a silent meditation to everyday movements and passages of people. And also puts us on track and in-search of Perec. How long would that take us to wind the clock back to October 1974? 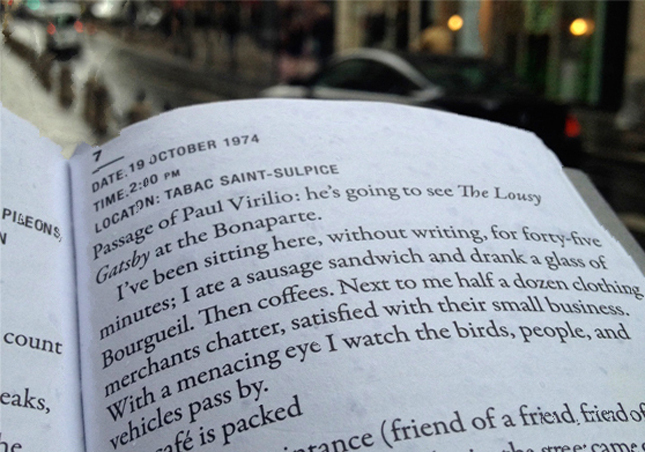 The footage here was grabbed in 2014 during a weekend which marked the 40th anniversary of Perec’s text ‘An Attempt to Exhaust a Place in Paris’.